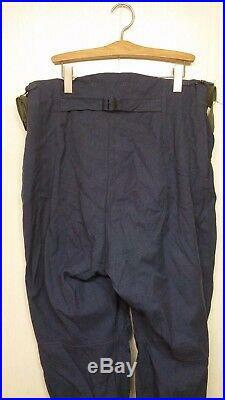 RARE Korean War USAF TYPE E-1A Flying Trousers Pants US Military Clothes Uniform. The item condition is as per the attached pictures. 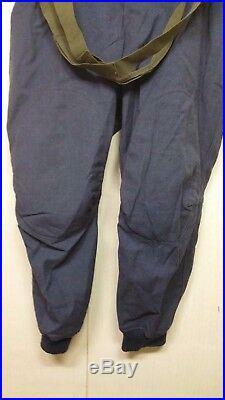 Whole Length : About 40.95" (104cm) Waist : About 35.43" (90cm). Inseam : About 25.59(65cm). Weight: About 2.65 lb (1,200g). The size can be changeable a bit, depending on measurement location. 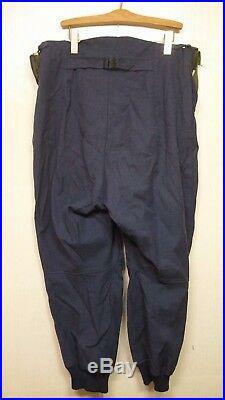 The item condition is as per the listing pictures. This item is old vintage collectible. So it could have track of times like hole, fading, wearout ect. This would be a Great Item for all military collectors!! You will get our response at least within 1 day, generally. The customer's satisfaction is our priority. 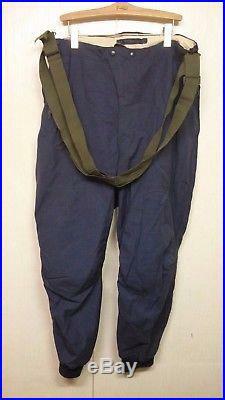 The item "RARE Korean War USAF TYPE E-1A Flying Trousers Pants US Military Clothes Uniform" is in sale since Tuesday, September 12, 2017. This item is in the category "Collectibles\Militaria\Korea (1950-53)\Original Period Items".